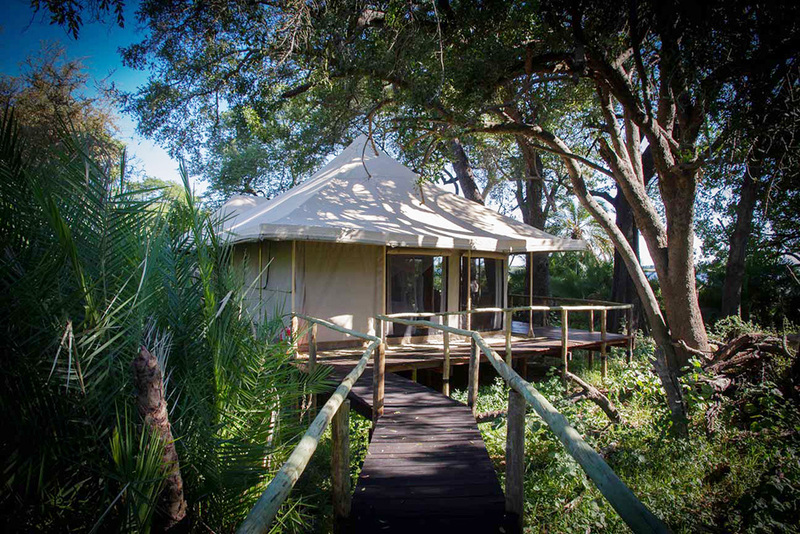 Mopiri is a newly opened tented camp situated in the north west of the Okavango Delta, just south of the panhandle. 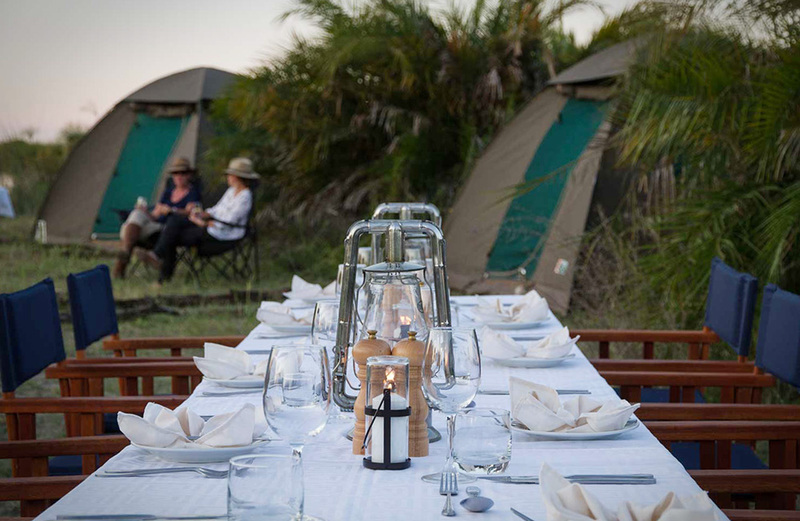 The camp comprises of ten ensuite tents all interconnected by boardwalks, a substantial main area with jetty’s offering access to the lagoon, and pools with panoramic views of the surrounding flood plains. With the increasing demand for family and multi generation safaris and accommodation, Mopiri Camp offers three family rooms, which share a private swimming pool. They are situated on a neighbouring island and accessed by boardwalk. This private facility allows us to welcome children of all ages, but at the same time not compromise the tranquillity of the camp for other guests. 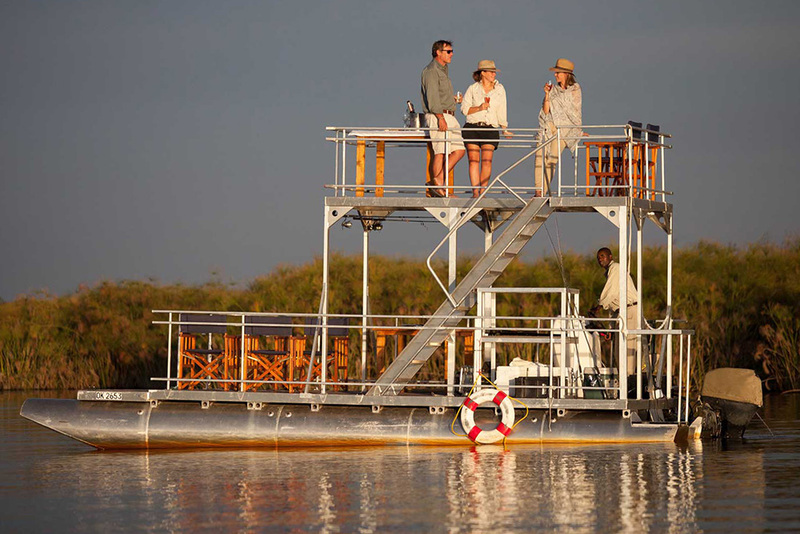 Mopiri is essentially a “water based camp” and the activities offered reflect this with the emphasis on “island hopping”, mokoro trips, bush walks, full day boat trips and fishing. Overnight trips at one of the private fly camps are also available and take place on the surrounding islands. A small wellness centre offering Massages, Pedicures, and Manicures is due to open shortly. Mopiri Camp has teamed up with renowned guide, Clinton Phillips of the Nature Guiding Company, and will be offering a four-night ‘Nature Exploration Experience’ in 2016. Set dates and costs are available. This adventure involves learning skills such as tracking, poling a mokoro, birding, fishing, bush cooking, deep insights into nature on a macro and micro level, and conservation topics. The course consists of one night Mopiri, two nights out on the islands, returning for a final night at Mopiri.